When conducting an audio conference it is strongly suggested to have one primary topic to focus on in order to limit the length of your conference call. When conducting a conference call, it is suggested that you occasionally ask participants for their opinion or concerns about the topic you're covering, at different times throughout the call. In addition, make sure to address whomever you are directing the question at by name. By doing so, the participants are more likely to pay attention, since there is the possibility that they might be called upon for their input. In order to further enhance productivity, some companies have had great success in conducting their audio conference calls in a Question & Answer format. By doing so, the presenter or main speaker will not be required to prepare any material for building a presentation or talking points. As long as the presenter asks for the questions ahead of time, they can prepare based on those specific questions you receive, allowing them to better tailor the call to the participants' needs. When conducting a major conference call, it is suggested to have someone connected on the line to support you. By utilizing an operator for your conference call, you will be provided with a dedicated conference specialist who will aid you in prepping for your event and then handle all of the various needs not only during but after your meeting, as well. These services include but are not limited to opening statements, assisted Q&A sessions, closing statements and even custom reporting. Lastly, by having an operator on your conference call, the participants will have someone to reach out to for direct help if they need to troubleshoot or get answera to technical questions. Audio Conferencing Tip: Going "Round-Robin"
In order to prevent people from cutting each other off, or speaking over one another during a conference call, we suggest the use of a “round-robin” method. More specifically, the moderator or whomever is in charge of the teleconference calls on each of the participants and asks for their comments. That same order of participants would then be used for each discussion point being covered. This allows for a formal and organized method of making sure everyone gets a chance to speak. To help do this, try using the participant list and follow its order. Running late happens, but do your best not to be late for any phone conferencing appointments. It is always best to arrive about five to 10 minutes early so you can become comfortable with the audio conferencing software and ensure that all participants know what to do once they connect. This also allows the meeting to start on time and avoids the distraction of late entrants. When conducting an audio conference, it can be tough to decipher what someone is saying when everyone tries talking at the same time. This is especially true if you're asking for a reply to a question and everyone chimes in. As such, if you are looking to get a reply to the last thing you have said or asked, try specifying who you would like a reply from instead of just saying something along the lines of the vague, "Does anyone have anything to say?" If you have ever held a conference call, chances are you were talking to your attendees for a particular purpose or reason. For that reason, we suggest that you send a quick thank you note or the meeting minutes via email upon completion of the conference call. This will help to transfer content that was discussed during the call to a written format for further follow up. Lastly, it will also allow anyone who may still have had a question or comment that couldn't speak during the audio conference, a chance to share their information with fellow attendees. It is common place when you're in a meeting in person or even a video web conference, to make eye contact with the person to whom you want to respond to your comment or question. This in turn, alerts that person and cues them respond to you. However, you will not have the luxury of making eye contact during an audio conference. As such, it is recommended that you say the name of the person with whom you wish to speak prior to asking a question or making a statment. For example, you would have to specifically ask an attendee - "Ron, where do we stand on those TPS reports?" A great way to aid in minimizing late arrivals by participants is by using permanent access codes, instead of having callers looking up a different code each time a conference is held. Furthermore, ever-changing, and often difficult to remember access codes can potentially cause delays of anywhere from a few seconds to several minutes. As such, to help ensure participants connect into you audio conference quickly and conveniently, always opt to use shorter, permanent access codes, because not only is it frustrating, but these delays cost your organization time and money. In addition, to speaking directly on a conference call, the use of instant messaging as a backchannel can be a great tool to help you and others get the most out of the call. Instant messaging your colleagues while on a call can help ensure that everyone is on the same page, by being able to ask simple questions that would otherwise interrupt the flow of a conference call. Lastly, the use of instant messaging is a great way of letting the moderator leading the call the most know that you want to say something. Often times, when conducting an audio conference there will be lulls of silence between people speaking. As the host, you can avoid this silence by acting as a presenter. More specifically, by using various talking points to fill lin lapses in the meeting you can keep the meeting moving along, while also preventing you from wasting time and having to depend on others for ideas. Lastly, filling the lulls of conversation can also make participants feel that you are well versed and providing useful and/or relevant information. When scheduling your conference call, make sure to keep all the varying time zones that your participants may be dialing in from, in mind. Furthermore, if participants from across the country or abroad are going to be included, make sure to schedule the conference call in the time zone that is most convenient for the majority of participants. Lastly, make sure you notify your participants of what time zone your scheduled time reflects. At the end of many conference calls, the leader or moderator will ask if there are any more questions or comments. If everyone in attendance chimes in with “not me,” “no” or any other similar response, it can create chaos and clutter. It is for this reason that it is best not to say anything at all, unless you have a real question or comment relating to the meeting. When conducting an audio conference, it is recommended that the host creates a list of all individuals that are to attend the audio conference prior to the event, and make a note of the names of people as they join. By doing so, the host will know when everyone who is expected has arrived begin by checking off names as the individuals connect. This will help clear up any confusion on if everyone is present and will give the host an exact point that he or she can begin the audio conference. First, there are some conference bridges that are configured only allow one person to talk. As such, if you begin talking while someone else still has the floor, there is a good chance that you may unknowingly cut the speaker off before they are done speaking. Second and more importantly, waiting your turn is really a simple matter of politeness and conference call etiquette. When people normally have a conversation, the intent, emotion, and attitudes of the speaker are generally and primarily decoded through body language. However, when you're on the phone conducting an audio confernce, you do not have the luxury of utilizing body language and as such must depent on your tone of voice. With this in mind, it is suggested that when on a conference call use words that label your emotions so that no one is in doubt how you feel. For example, "We were incredibly grateful and extremely moved by the overwhelming support being provided by the community in the dire times after the winter storm." While on a conference call always make sure to state your name when making a comment and also when asking or answering a question. For example, “This is John. In response to your question...”. By following this simple rule, you will also help your others to recognize your voice sooner. 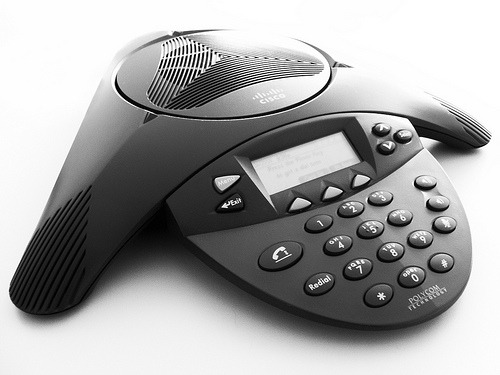 Lastly, it will also help in making your conference call experience feel less technical and more personal, overall. If you are the phone conferencing organizer, put together a clear agenda for the meeting and make sure everyone receives a copy prior to the start of your meeting. It is recommended to include the agenda with a reminder email about the phone conference, to help ensure it is received by your participants. Once the conference call begins, follow that agenda as closely as possible to keep yourself within time constraints. When other people will be presenting, make sure you delegate their roles ahead of time so all speakers can be fully prepared. When conducting an audio conference, it is important to designate one person to moderate and lead the call, to have it run more smoothly.The person you designate to moderate the conference call will ensure the meeting stays on track. Business professionals run busy lives, so time is of the essence. As such, it is important to keep the meeting within the designated time constraints to avoid conflicts with anyone’s schedule. This is especially important when there are a large number of people on the call. If everyone wants to talk, the call can easily run too long. By having one person moderating the call, everyone will have a chance to talk in an organzied manner. Background noise can be a major distraction during phone conferencing. Audio conferencing best practices tell you to put your microphone on mute when you aren’t talking. However, when you need to talk, make sure you eliminate as much background noise before you unmute yourself. Some common types of background noise include wind noise, other conversations in the room, noisy pets, active children and even typing on a computer. If possible, find a quiet place from which to attend the meeting. Attending a meeting from the comfort of your home or office often means plenty of distractions going on around you. You may be tempted to check email, answer a co-worker’s question, tackle the pile of work growing on your desk or any number of other small tasks. During conference calls, it isn’t uncommon for the speaker to ask an individual attendee an answer. If you aren’t paying attention, it will be obvious. You will have to ask the speaker to repeat the question, which can be embarrassing for you and frustrating for everyone else. Paying attention will avoid these problems. Bad habits seem to be prevalent in phone conferencing because you aren’t face to face with the other individual. Showing up late, holding side conversations with others in the room and forgetting to put your phone on mute to avoid creating distractions are all common occurrences on a conference call. While most people are familiar with proper etiquette in situations, such as eating dinner or even attending a business meeting in person, where is the etiquette for audio conferencing? 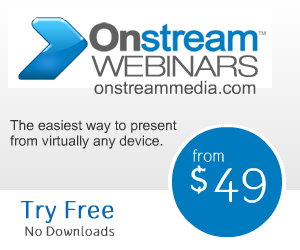 These audio conferencing best practices will bring good manners to your next call, while ensuring that you make the make the most of Onstream Media's services. With today’s global economy, it is more important than ever for individuals and companies to be able to reach a global audience. While the Internet and online conferencing have made it easier to reach people around the world, this doesn’t mean phone conferencing is a thing of the past for international conferences. With the use of smartphones, you will notice that just about everyone is using their phones on a regular basis. 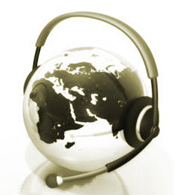 This makes audio conferencing one of the best ways to stay in touch with a global market. Many businesses are looking for ways to make their meetings easier for everyone to attend and to hold impromptu meetings without causing major disruption to the work day flow.As such, more companies are choosing to use web conferencing or phone conferencing to hold their meetings between employees. In addition, the latest advances in conferencing software allows businesses to hold more of these meetings with improved functionality and time saved. Etiquette is something that has been taught to most people from a very early age, albeit in varying degrees. It is for these reasons that we practice conventions such as saying “please” or “thank you”, and they are almost absolutely essential for any social scenario.